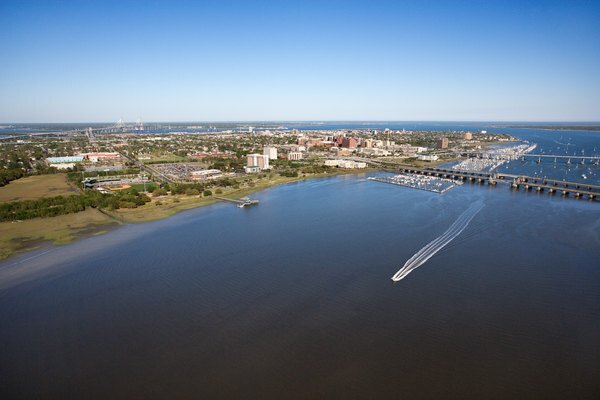 Mid-sized cities such as Savannah, Ga., and Charleston, S.C., which is shown here, offer many of the amenities found in big cities at a slightly slower pace. 3. What Is the Cheapest State for a Retired Couple to Live In? When it’s time to retire, many head south. A warmer climate means you can spend your winters doing something besides shoveling snow, and it’s also better for your overall health. Although Florida long has held the reputation of being the retirement state, there are many warm-weather destinations throughout the southern half of the United States. Two of the most popular tourist cities – Savannah, Georgia, and Charleston, South Carolina – can be great places to spend your golden years. Both Savannah, Georgie and Charleston, South Carolina offer retirees a wide array of affordable living and a high quality of life. If you’re looking for breathtaking scenery, both cities check that box. Savannah has Forsyth Park and Tybee Island, while Charleston has Rainbow Row and The Battery. You’ll also have more days each year that you can sit on a bench and enjoy those sights; both cities have highs right around 60 degrees during the coldest winter months. You can expect warm temperatures for a large part of the spring, summer and fall. The cities are comparable when it comes to overall climate comfort. The average year-round temperature – which takes into account average highs and average lows – in Charleston is about 66; Savannah ticks in just one degree higher. Retirees seek out their peers for good reason. Socialization can help people live longer, happier lives, eliminating the health risks that come with loneliness. Although both areas have sizable senior populations, Charleston has a slightly larger senior population, with a median age that is 2.2 years older. If you’re looking for a less crowded area, Charleston wins, as well, with a 15 percent less-dense population than Savannah. Although both cities are filled with activities, retirees are looking for something a little extra. Savannah’s senior-specific programs include Senior Citizens Inc., which has neighborhood centers and regular activities for retirees. The Learning Center has classes, lunchtime lectures and excursions for seniors. If you’re interested in continued learning, Georgia provides free tuition to those over the age of 65 at state colleges and universities. You can sit in on any class where there’s extra space, either auditing the course or, if you prefer, taking tests and earning credit for the class. As with Savannah, seniors will have plenty to do in Charleston, thanks to local community centers and organizations. Not only will you find group excursions and day trips, but there are also ongoing exercise classes, as well as games and sporting activities. The state also offers tuition exemptions for seniors starting at age 60. However, there may be nominal fees for the service. The cost of living is higher in Charleston than Savannah, a fact that is offset by higher average salaries in Charleston. However, this bump in pay won’t help seniors who are living on retirement income. The difference is substantial, too, with Charleston being 34 percent more expensive than Savannah. However, the biggest factor in this increase is home cost, so if you’re downsizing to a smaller, more affordable house than you have currently, you may be able to buy a home outright, saving on monthly mortgage payments. There are also tax incentives for seniors in both cities that may help with your monthly expenses. Of the two states, only Georgia made Kiplinger’s list of most tax-friendly places to retire. The biggest benefit for retirees is the break on Social Security income taxes. Not only are your Social Security earnings tax-exempt, but you’ll also get a tax break on most other types of retirement income. Once you’re 65, you also can claim an exemption on your property taxes. South Carolina is known for having among the lowest property tax in the country, but you’ll also find your Social Security income isn’t taxed while living there. The state gives a $15,000 deduction on other types of retirement income.